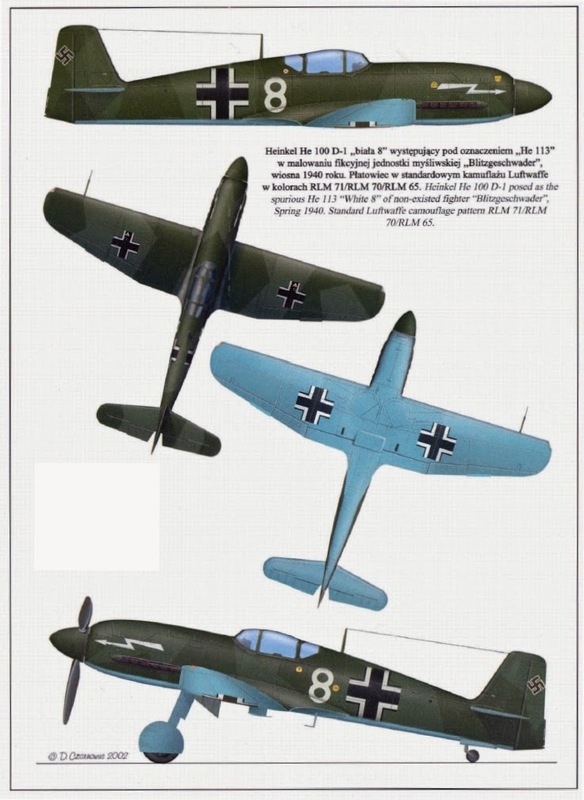 After losing the production contract for the Luftwaffe’s new monoplane fighter to the Messerschmitt Bf 109, Ernst Heinkel proposed an improved version of the He 112. The new design was known as Heinkel He 100. Actually it should have been designated He 113, but since the number 13 was unlucky, this had been dropped. It had a length of 8.2 m (26 ft 11 in), a span of 9.41 m (30 ft 11 in), and an empty weight of 1,810 kg (3,990 lbs). The single- seat aircraft was powered by a 1,175-hp Daimler-Benz DB 601 Aa inverted-V-12, liquid- cooled engine, and had a speed of 670 km/h (416 mph) and a range of 900 km (559 miles). Armament consisted of one 20-mm cannon and two 13-mm machine guns. In March 1939, a prototype He 100, V3, with clipped wing, established a top-speed record at 746 km/h (464 mph). The aircraft’s excellent maneuverability made it potentially a good fighter and possibly a fast ground attacker. In spite of its high performance and many advanced technical features, the He 100 was rejected and never reached mass production. The exact number built is unclear. 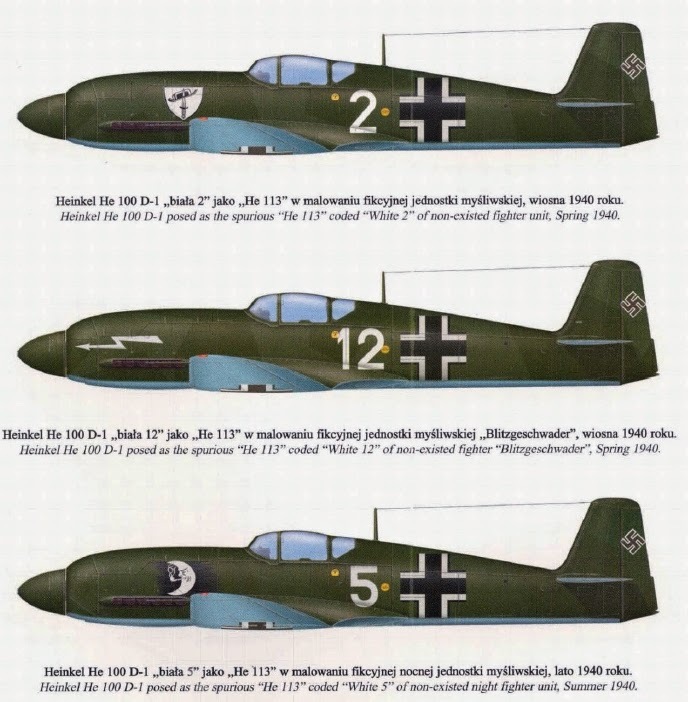 Some sources state 100; other sources state that six units were sold to Russia (from which came the Lawotschkin, Gorbunow & Gudkow LaGG 3), and three to Japan (developed as Kawasaki Ki 61 Hien). Twelve formed a private fighter group intended to protect the Heinkel factory at Rostock-Marienhe. The aircraft were mainly used as propaganda in 1940, as Goebbels attempted to get Britain to believe that Germany possessed a superfast fighter.